How well do you know your Canon EOS camera? Getting to grips with the basics of photography is one thing, but actually understanding how your camera works and what it’s capable of is another matter. That’s where the EOS Training Academy comes in – our team of lecturers know the EOS system inside out and guarantee that a day spent with them will unlock your camera’s full potential and give you the skills to improve your photography. Whatever your level and experience, we have courses to suit you. If it’s your first EOS camera, we’ll get you started by explaining the basics and moving you off Full Auto mode. If you’re already comfortable with your camera and want to fine-tune your skills, then you’ll find some of the more challenging and creative courses right up your street. 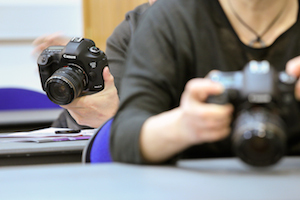 Our comprehensive programme of courses has been developed over the last ten years and is constantly evolving to meet the needs of photographers and the changes in DSLR camera development. What makes EOS Training Academy unique? Yes, we all love photography and are passionate photographers. 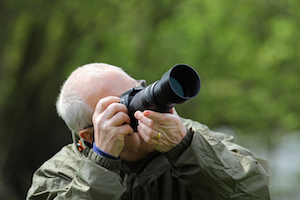 But for us it's the teaching and sharing of photographic knowledge that gives us the buzz. Everyone has their own way of shooting, and so should you. From us you'll learn how to use your camera and how to tailor it to suit your photography, rather than simply mimicking the way we shoot. There are no secrets – we're not saving the best for ourselves. You will learn what you need to know and we will share the knowledge and years of experience without limit. The EOS Training Academy tutor team comprises of Nina Bailey, Brian Hall, Brian Worley and Ian McNeill who between them have many decades of experience both shooting with and training on Canon EOS cameras. They are all experienced teachers, and that's the passion that comes first for each of them. See our lecturer profiles for more information. We're constantly extending the reach of the course programme, to ensure that you can find a training course near you. To find your nearest venue, take a look at the Course Locations section. For 2019 we now have over 30 locations! 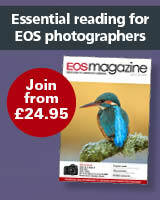 Enjoy a practical day out with your EOS camera from £129. With small groups and plenty of individual attention from your tutor, you'll come on leaps and bounds with your photography. Locations are carefully chosen for their photographic and learning opportunities. Groups sizes are kept to a maximum of only 5 or 6 people – giving you lots of tutor time. As part of your course, you'll get access to a comprehensive pre-course video tutorial. An essential part of your day, this covers the basics of what you'll need to know on the course. 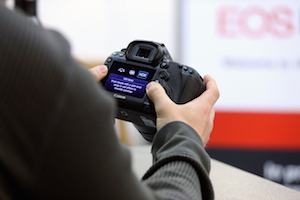 Our classroom-based courses are a fun, interactive and informal way to learn more about your EOS photography. With only 12 delegates max. per class, comprehensive handouts and opportunities all day to ask questions, you’ll be sure to learn new skills on these day-long courses. Prices start from £119. 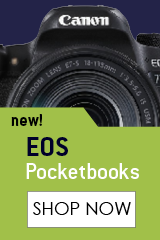 Launched in January 2014 this unrivalled EOS learning resource offers you over 320 video tutorials and covers a wide range of photographic topics. 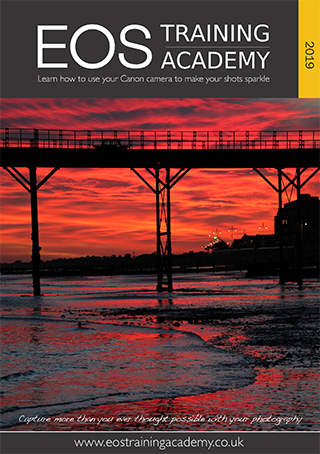 Each tutorial is written exclusively for Canon EOS cameras, so you can be sure that the information is always relevant to your camera. Access is by annual subscription – this allows you to stream any of the videos on your computer or smart device 24/7. You can watch each video as much as you like and the beauty of the system as you can learn at your own pace and choose the order that you learn the topics. A year's membership is only £79.